Note that this web site is accurate at the end of August 2016 but will not thereafter be updated. York, long been associated with books, through printing, publishing and selling, makes a natural base for a society initiated by, and dedicated to those who love books. 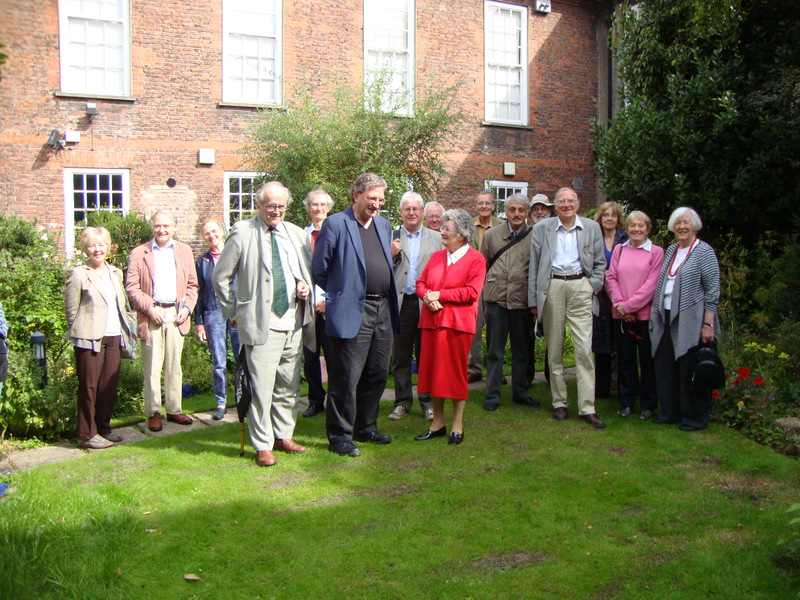 Meetings other than the New Year Supper will take place in the Lecture Room of the York Medical Society at 23 Stonegate, York YO1 8AW. The Society combines information and scholarship with entertainment and sociability. Authors and illustrators, designers and publishers, booksellers and collecters feature in programmes of five winter lectures supplemented by summer visits to memorable libraries. All who have an interest in books are welcome to join this active group of booklovers. Visitors may attend meetings on payment of a small charge. or by e-mail to RTroubridge@mac.com.